The recipe below is great in that it could be used as a basis for a variety different tasting biscuits. You could skip saffron and have purely vanilla tasting biscuit, add walnuts to the batter and have walnut-tasting ones or replace vanilla with orange or citrus zest to have the refreshing fruit tasting biscuits. And of course, you could use your creativity to add to the list! I initially saw this recipe in a friend’s blog, Saloomeh’s Kitchen. 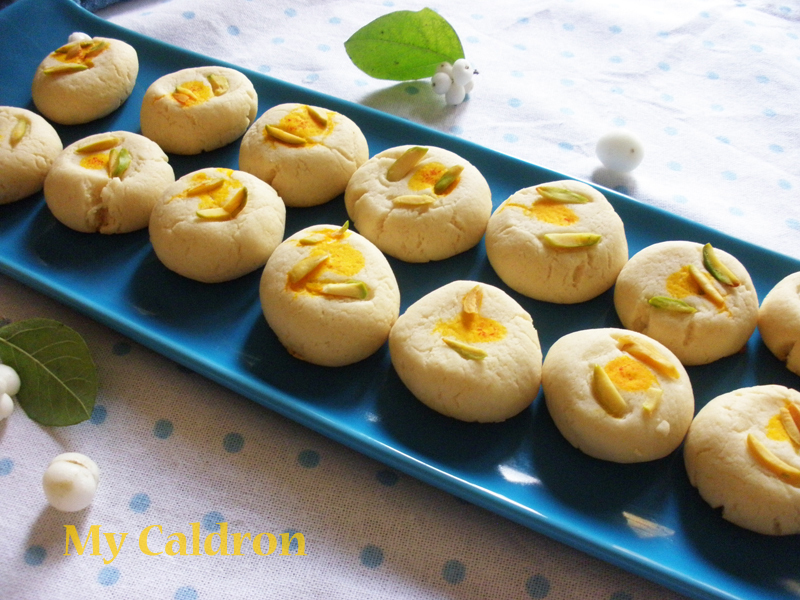 Then I added saffron and pistachio component to her vanilla formula and felt it looked and tasted great!